Introduction: In today's world, having principle and targeted management is one of the progress and development factors of any organization. Effective use of time for each manager is the most important base for managing current affairs and controlling daily activities. 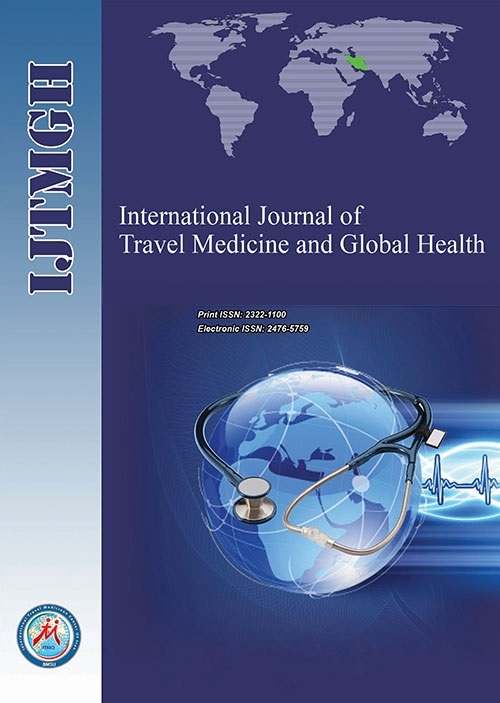 The present study aimed to investigate and analyze the relationship between factors affecting time management among the senior, middle and first-line managers of the hospitals in Kermanshah in 2015. Methods: This was a cross-sectional and descriptive-analytical study conducted in 2015 in ten hospitals of Kermanshah. The study population consisted of all senior, middle and first-line managers of the studied hospitals (N=240) which were selected using census method. The required data were collected using a researcher-made pair-wise comparison questionnaire. The collected data were analyzed using the DEMATEL technique through Matlab8.1.0.604 software. Results: The results showed that, from the studied managers’ viewpoints, the variables of goal setting and prioritization of objectives and activities were certainly affecting variables and located in the cause group. Also, the variables of planning, delegation, communication management, and meetings management were affected variables and located in the effect group. Furthermore, in the hierarchy of affecting and affected variables influencing time management, goal setting and meetings management with the coordinates (1.23, 1.23) and (1.06, -1.05) were identified as the highest and lowest priorities and were considered as the most affecting and most affected variables, respectively. Conclusion: The results of the present study showed that among the studied variables influencing time management, goal setting was the highest priority and most affecting variable, and meetings management was the lowest priority and the most affected variable. It is recommended to increase the hospital managers’ knowledge about time management and the need for accurate goal setting through providing management and time management courses, and requiring them to develop a time management plan in order to improve their time management. 1. Zampetakis LA, Bouranta N, Moustakis VS. On the relationship between individual creativity and time management. Think Skills Creat. 2010;5(1):23-32. 2. Indreica E-S, Cazan A-M, Truta C. Effects of learning styles and time management on academic achievement. Procedia Soc Behav Sci. 2011;30:1096-102. 3. Claessens BJ, Van Eerde W, Rutte CG, Roe RA. Planning behavior and perceived control of time at work. J Organ Behav 2004;25(8):937-50. 4. Claessens BJ, Van Eerde W, Rutte CG, Roe RA. A review of the time management literature. Personnel Rev. 2007;36(2):255-76. 5. Liu OL, Rijmen F, MacCann C, Roberts R. The assessment of time management in middle-school students. Personality Individual Diff. 2009;47(3):9-147. 6. Britton BK, Tesser A. Effects of time-management practices on college grades. J EducPsychol. 1991;83(3):405. 7. Nonis SA, Teng JK, Ford CW. A cross-cultural investigation of time management practices and job outcomes. Intl J Intercultural Relations. 2005;29(4):409-28. 8. Eilam B, Aharon I. Students’ planning in the process of self-regulated learning. Contemp Educ Psychol. 2003;28(3):304-34. 9. Huy QN. Time, temporal capability, andplanned change. Acad Manage Rev. 2001;26(4):601-23. 10. Francis‐Smythe JA, Robertson IT. On the relationship between time management and time estimation. Br J Psychol. 1999;90(3):333-47. 11. Greenberg JS. Comprehensive stress management. 2002. 12. Davis M. Time and the nursing home assistant: Relations among time management, perceived control over time, and work-related outcomes. Academy of Management, Toronto, Canada. 2000. 13. Ziapour A, Khatony A, Jafari F, Kianipour N. Evaluation of time management behaviors and its related factors in the senior nurse managers, Kermanshah-Iran. Glob J Health Sci. 2015;7(2):366-73. 14. Ebrahimi H, Hosseinzadeh R, Tefreshi MZ, Hosseinzadeh S. Time management behaviors of head nurses and staff nurses employed in Tehran Social Security Hospitals, Iran in 2011. Iran J Nurs Midwifery Res. 2014;19(2):193-8. 15. Gran‐Moravec MB, Hughes CM. Nursing time allocation and other considerations for staffing. Nurs Health Sci. 2005;7(2):126-33. 16. Ojo L, Olaniyan D. Effective Time Management in Organization Panacea or Placebo. Eur J Sci Res. 2008;24(1):127-33. 17. Arnold E, Pulich M. Improving productivity through more effective time management. Health Care Manag. 2004;23(1):65-70. 20. Waterworth S. Time management strategies in nursing practice. J Adv Nurs. 2003;43(5):432-40. 21. Huber D. Leadership and nursing care management. Elsevier Health Sciences; 2013. 22. Birkinshaw J, Caulkin S. How should managers spend their time? : Finding more time for realmanagement. BSR. 2012;23(4):62-5. 23. Braithwaite J, Westbrook MT. Time spent by health managers in two cultures on work pursuits: real time, ideal time and activities' importance.Int J Health Plan Manag. 2011;26(1):56-69. 25. Zampetakis L, Bouranta N, Moustakis V. On the relationship between individual creativity and time management. Think Skills Creat. 2010;5(1):23-32. 26. Kebriaei A, Sabahi BM, Saeedi A. Relationship between use of time management skills and satisfaction with spending time among students of zahedan university of medical sciences. J MedEdu Dev. 2014;6(12):79-89. 27. Sternberg RJ. A model of educational leadership: Wisdom, intelligence, and creativity, synthesized. Intl J Leadersh in Educ. 2005;8(4):347-64. 28. Nonis SA, Hudson GI. Academic performance of college students: Influence of time spent studying and working. J Educ Business. 2006;81(3):15. 30. Ziegler E. By Leaps & Bounds: How to Stop WastingTime, Set Your Priorities, and Soar to Success in the Publications Office. Currents. 1993;19(3):38. 32. Macan TH. Time-management training: Effects on time behaviors, attitudes, and job performance. J Psycho. 1996;130(3):229-36. 33. Marriner A. Time Managementthrough Planning. J Contin Educ Nurs. 1983;14(1):21-6. 34. Fitsimmons G. Time management part I: goal setting as a planning tool. Bottom Line. 2008;21(2):61-3. 35. Ghaedmohammadi M. The important factors of students' time management among Islamic Azad University. Social Res. 2010;3(6):57-73. 36. Hashemizadeh H. Analysis of relation between time management behaviors and occupational stress of medical surgical ward's head nurses of educational hospitals depend on Shaheed-Beheshti medical university of Tehran, Iran. J Fundam Ment Health. 2012;60(5):S159. 37. Mohammadian A, Jahangiri S, Naghizadeh Baghi A, Pourfarzi F. A Study on Time Management Skills in Ardabil University of Medical Sciences (ARUMS) Managers. J Health Adm. 2006;9(24):59-66. 38. Marquis BL, Huston CJ. Leadership roles and management functions in nursing: Theory and application. Lippincott Williams & Wilkins; 2009. 39. Newstrom JW, Davis K. Human behavior at work. New York. McGraw-Hill; 1986. 41. Lewis D. 10-minute Time and Stress Management: How to Gain an'extra'Ten Hours a Week. Piatkus; 1995. 42. Fiedler FE, Chemers MM. Leadership and effective management. Scott, Foresman Glenview, IL; 1974. 43. Ferner JD, Deans J. Successful time management. Clin Lab Manag Rev. 1998;13(1):13-21.